In honor of the upcoming May the 4th Star Wars™ holiday, we are rewarding players for their epic support. Amp your Star Wars™ adventure with the New M4-Y7 Astromech Droid login reward, new Premium player speeder plus Double XP! 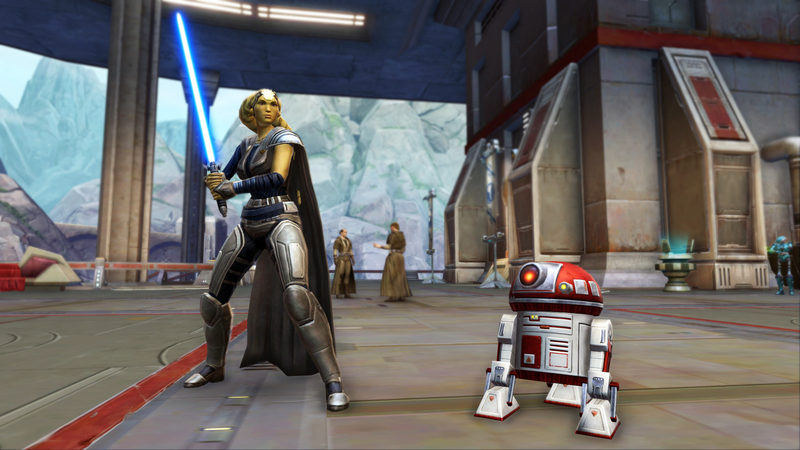 Log in by May 7th to qualify for your very own M4-Y7 Astromech Droid Mini-Pet! * A deeply loyal and rugged Droid, the M4-Y7 Astromech Droid is known for its steadfast and stoic reliability. No matter how far your adventures take you across the galaxy, the M4-Y7 is your “DBFF” (Droid Best Friend Forever)! Your new Astromech Droid can be claimed beginning May 9, 2018 at 11:59PM PDT (May 10, 2018 at 6:58PM GMT) through your in-game mail. 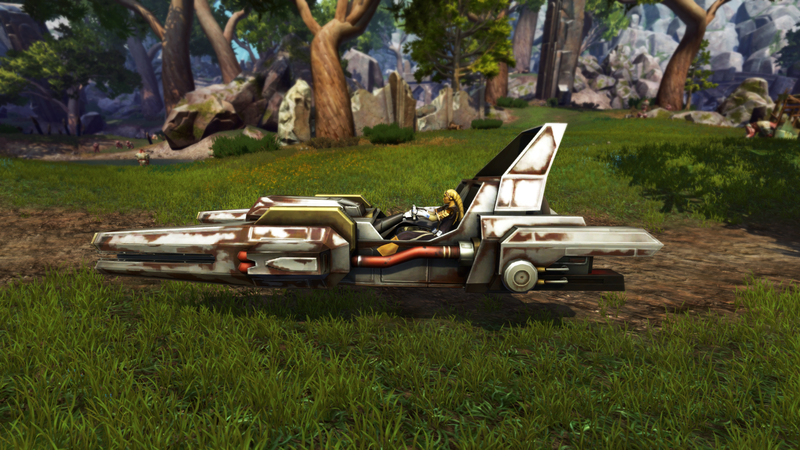 Be a Premium Player as of May 31st to command the new TF-4 Rampage Speeder! * Popular on the black market, this industrial mining vehicle boasts heavy armor and aggressive engines that can easily be modified to be a rapid-attack craft, making it the perfect vehicle for criminals on the run! Look for your new speeder in your in-game mail beginning June 7, 2018 at 11:59PM PDT (June 8, 2018 at 6:58PM GMT).